we are geeks like that. 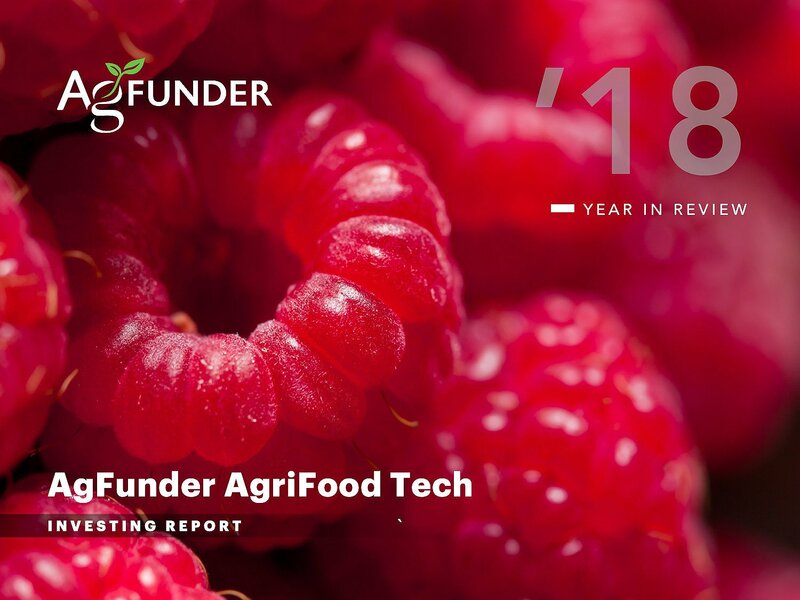 As part of AgFunder’s role funding startups in food and agriculture, we have become a leading intelligence source for the sector, aided by our exposure to a global network of startups and venture capital firms. As well as providing daily news coverage through AgFunderNews and #feedit (our social news sharing platform), we publish periodic research on trends shaping the future of food and agriculture. 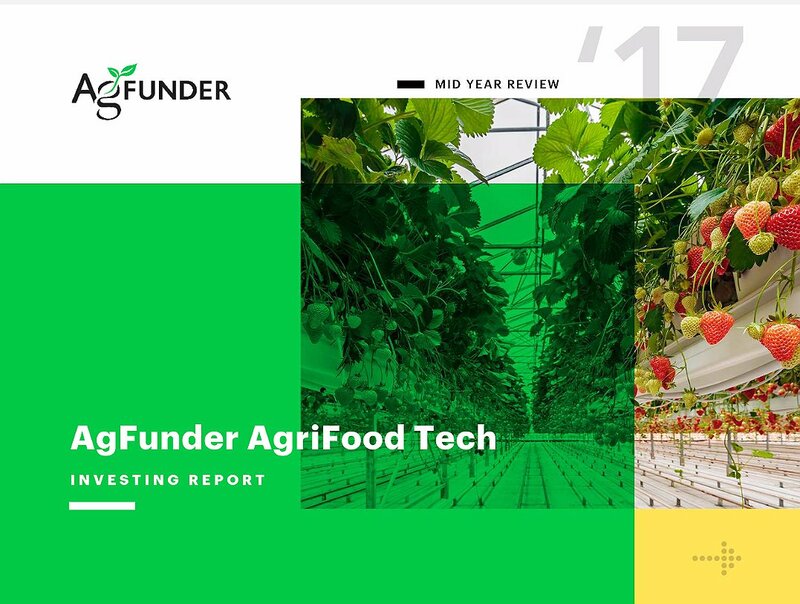 Our widely-cited research includes investment reports on venture capital funding to foodtech and agtech startups, country deep-dives, and resource guides for startups. 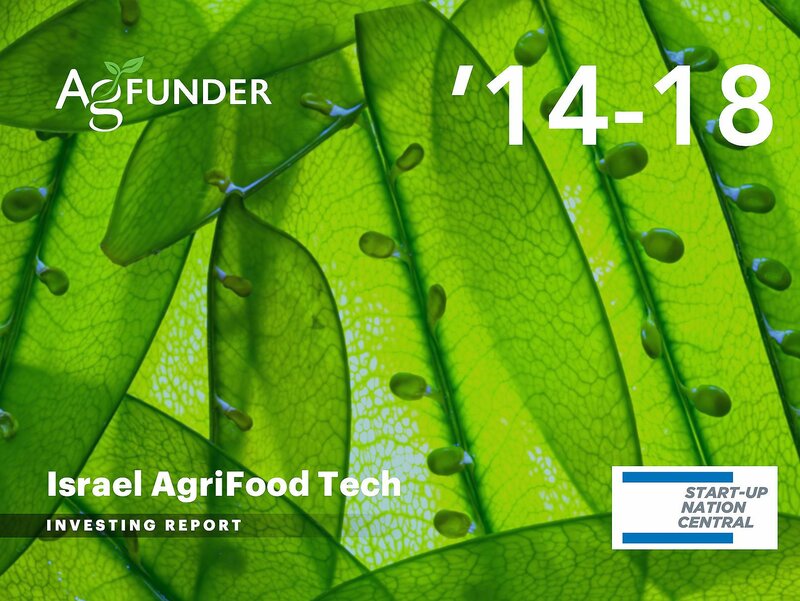 With our partner Start-Up Nation Central, we released the first-ever Israel AgriFood Tech Investing Report, with a review of the last five years of investment in tech startups innovating for the food & agriculture industries. The report details nearly $800m of investment across 278 deals. Israel has produced some of the industry’s most mature and innovative startups, particularly upstream closer to the farmer, although its food technology industry is growing rapidly. 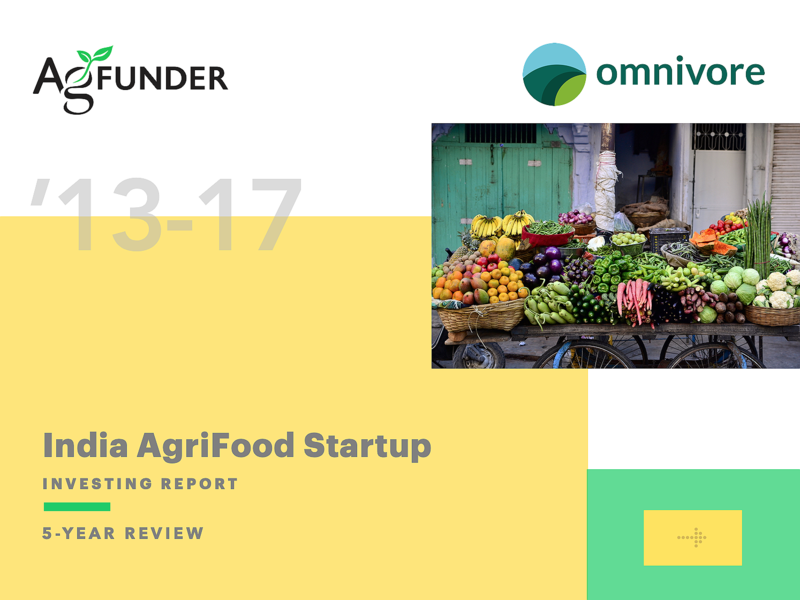 India AgriFood Startups raised $1.66 billion between 2013 and 2017 with investment from a mix of major global venture capital investors, multinational tech corporations, impact investors and dedicated agrifood funds. The demands of a growing middle class and a broken supply chain drove much of the innovation and investment during the period, while upstream, farm tech startups, picked up steam in the latter years. 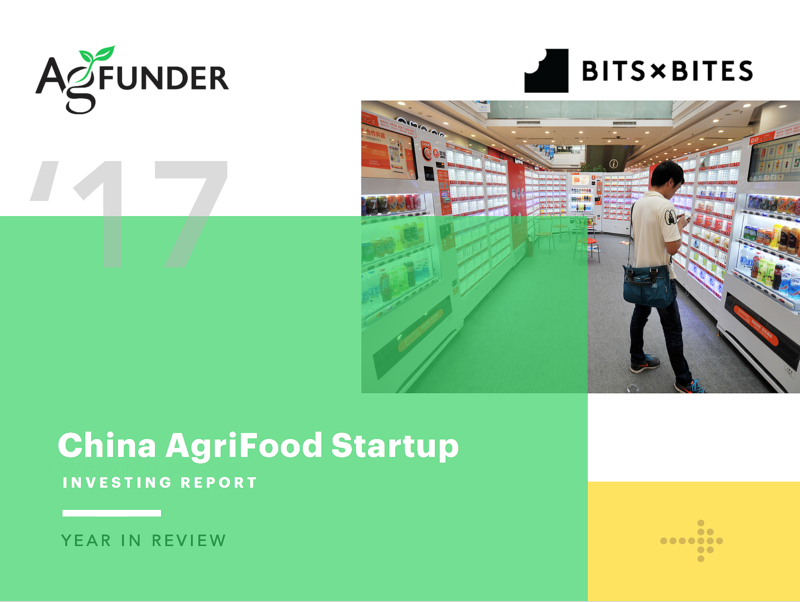 China AgriFood Startups raised $1.8 billion in 2017 with the vast majority of investment ($1.7bn) flowing to businesses operating downstream, close to the consumer. Support from the country’s technology giants Baidu, Alibaba and Tencent at both the early and late stages, drove a significant portion of the year’s investment activity. The Netherlands is a modern world agri-food vision, 185th the size of Australia but producing 810 times more export earnings per hectare and nearly three times more agri-food export earnings. 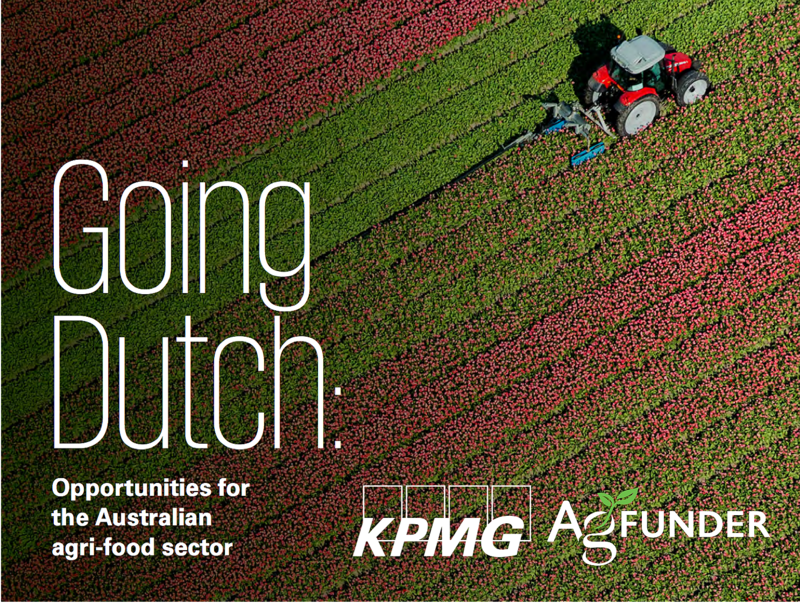 This report delves into ways Australia’s agrifood sector can learn from the Dutch. AgriFood Tech startups, innovating from farm-to-fork, raised $10.1 billion in 2017, a 29% year-over-year increase. Mirroring the global VC markets, there was a considerable decline in deal flow (-17%) mostly due to a large contraction in seed stage funding. Agrifood tech is maturing, but a loss of activity at the seed stage doesn’t bode well for years to come. AgriFood Tech startups, innovating from farm-to-fork, raised $4.4 billion in H1-2017, a 6% year-over-year increase. Mirroring the global VC markets, a few ‘mega deals’ drove the funding increase, as well as some maturation in the sector. But the number of deals declined 27% to 369 during the same period. 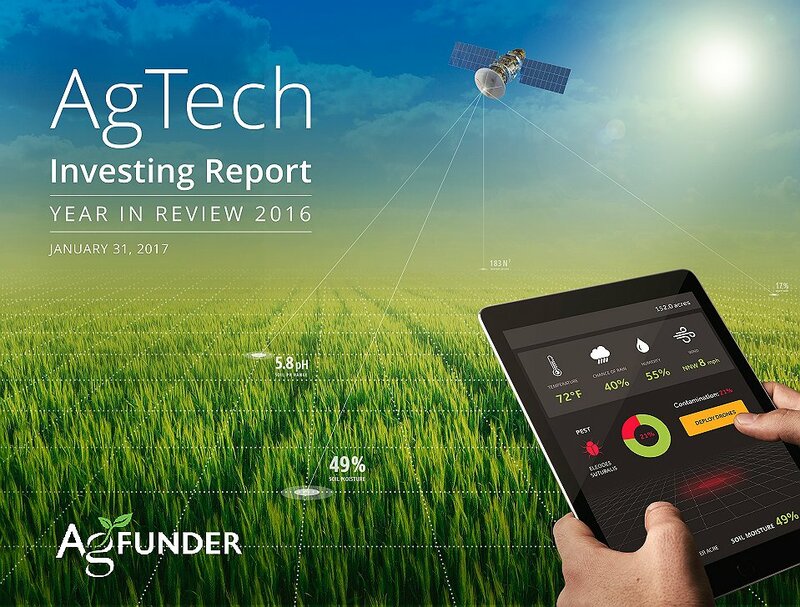 Agtech funding figures dipped to $3.2 billion in 2016 from $4.6 billion in 2015. This reflected the broader pullback in global venture markets, though deal activity in agtech was the strongest to date with 580 deals closed. 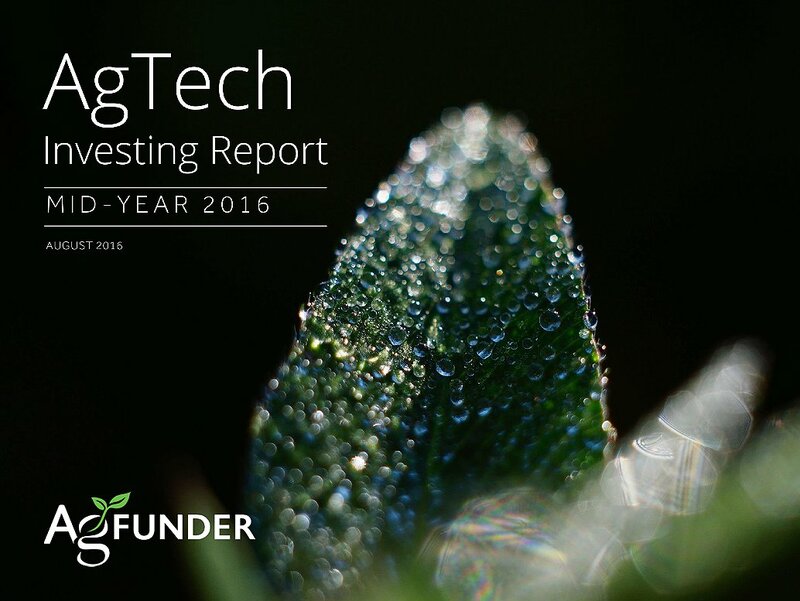 Agtech funding reached $1.75 billion during the first half of 2016 with 307 deals. The top-line investment level represents a 20% year-over-year decline from H1-2015, while the numbers of deals increased 7% from H1-2015. This pullback in agtech largely mirrored the broader venture capital market, which declined over two consecutive halves. 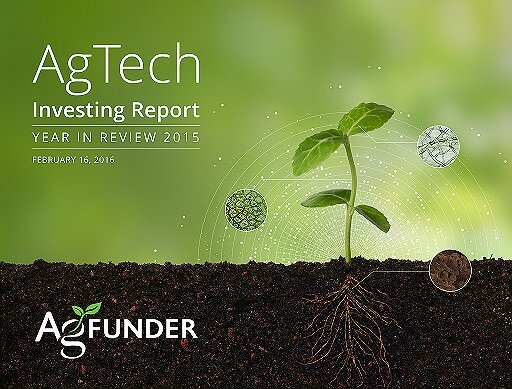 Agtech funding figures surpassed expectations to reach $4.6 billion in 2015. 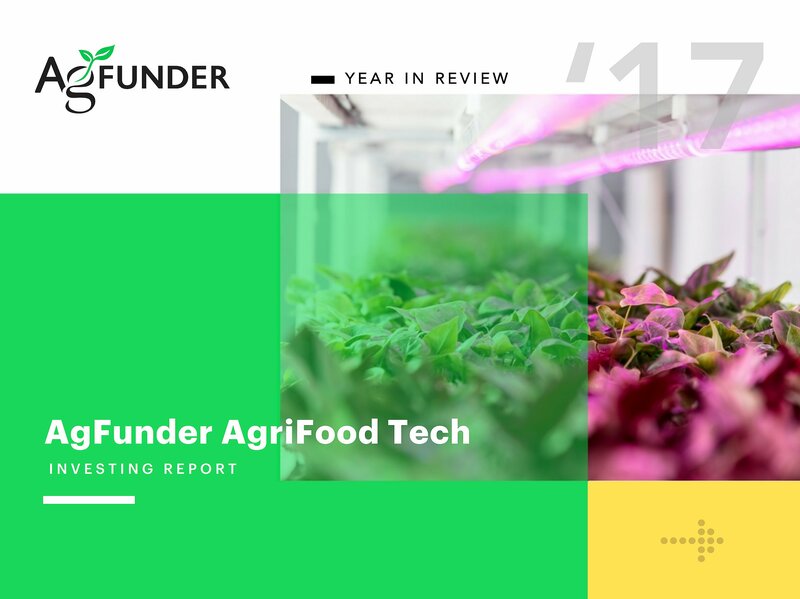 This was nearly double the $2.36 billion total invested in 2014 as agtech’s place as a key area of focus for many in the venture capital community was confirmed. 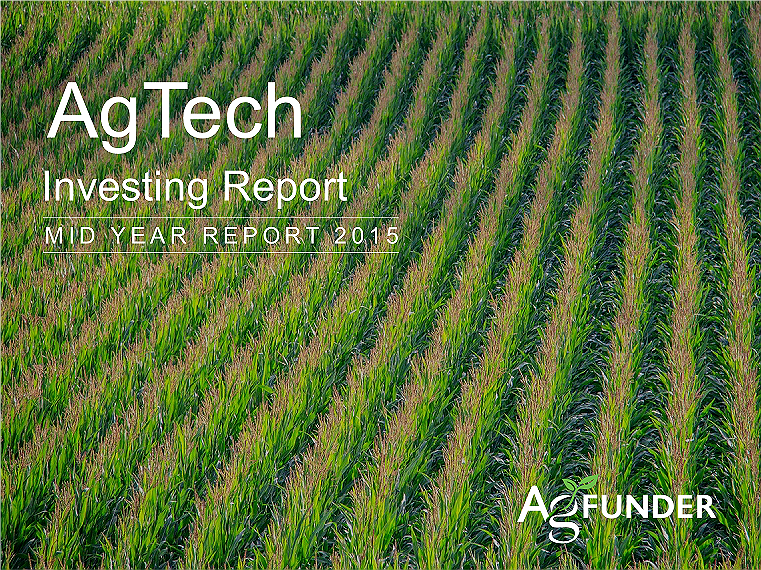 Midway through 2015, agtech investment hit $2.06 billion, just shy of the $2.36 billion invested in all of 2014. Momentum continues with roughly $1 billion invested per quarter in 2015. 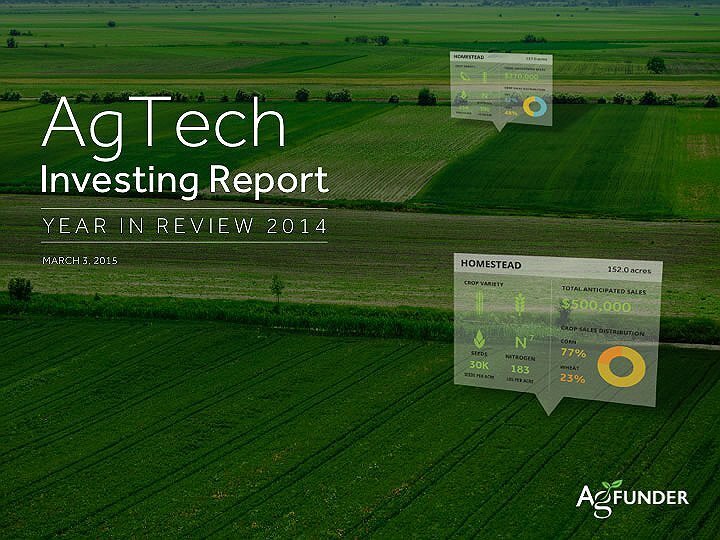 The Agtech Investing Report 2014 captures 264 deals worth $2.36 billion. Read it for an in-depth look at the industry, sectors, and all deal data for 2014. 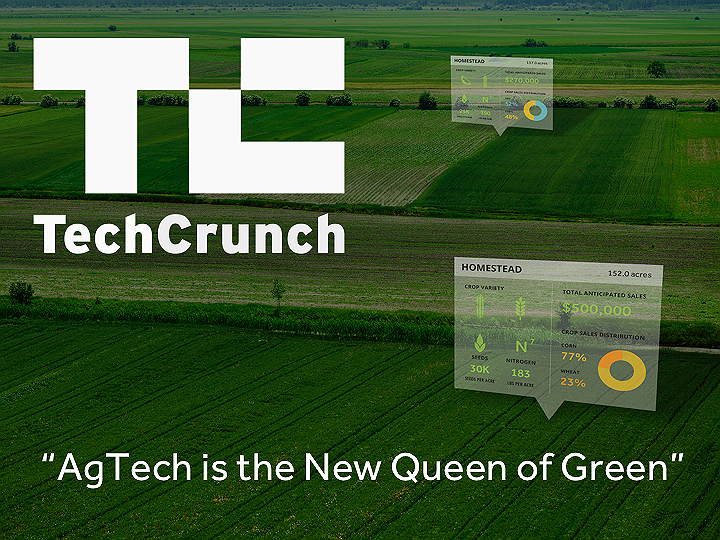 A look at how the agtech sector developed, with a deep dive into agtech venture activity.